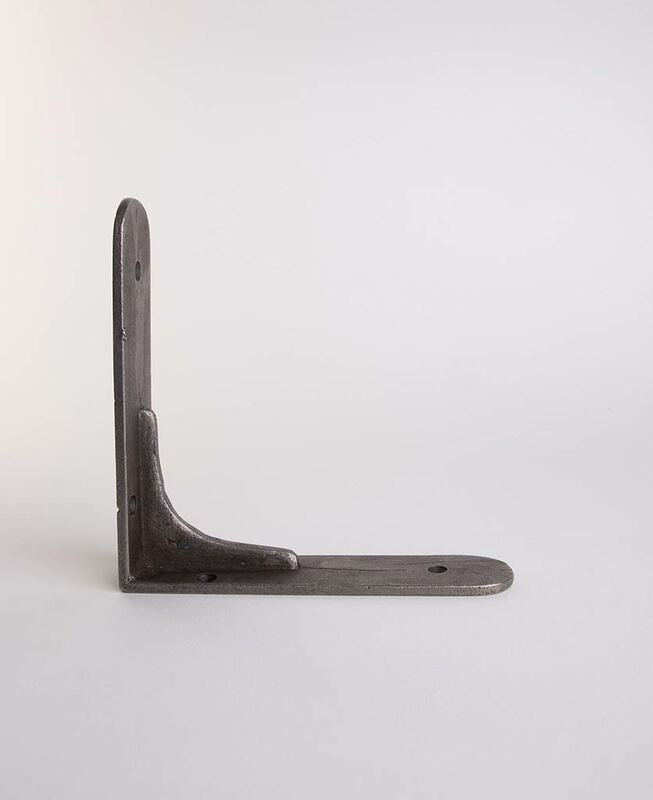 Named after Magnus Ver Magnusson, four times winner of the World’s Strongest Man competition, there’s nothing airy-fairy about our MAGNUS shelf bracket. It’s an absolute champion. 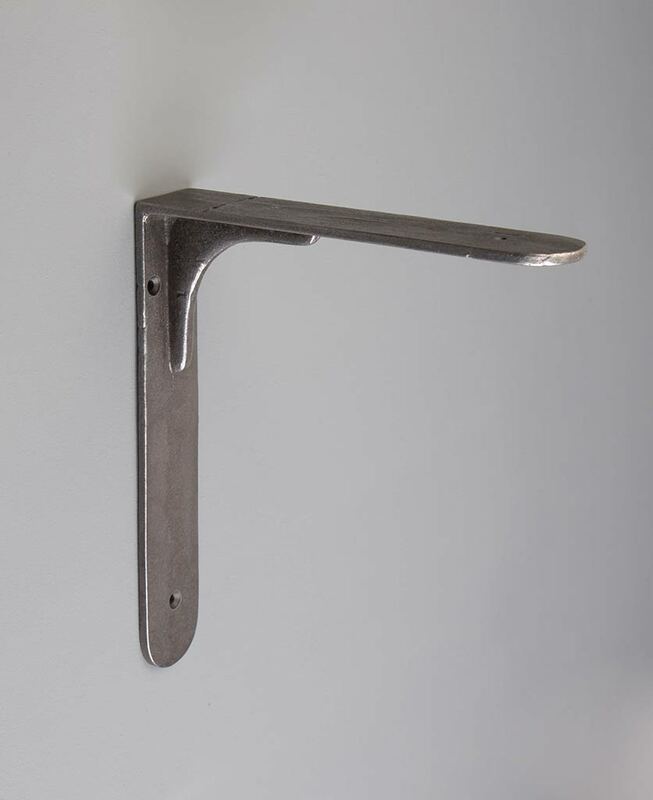 Masculine and beautiful all rolled into one gorgeous shelf, our MAGNUS metal shelf bracket won’t let you down. It’s made of really strong stuff and is a dab hand at taking a heavy load – we’re not talking one-tonne barrels obviously, but certainly a few books, vases, nik-naks and of course a table lamp. The Ally raw steel table lamp would be spot on here. We’ve left the choice of shelf up to you, but we’ve got some great ideas which you’re welcome to steal (as long as you promise to share your photos with us!) 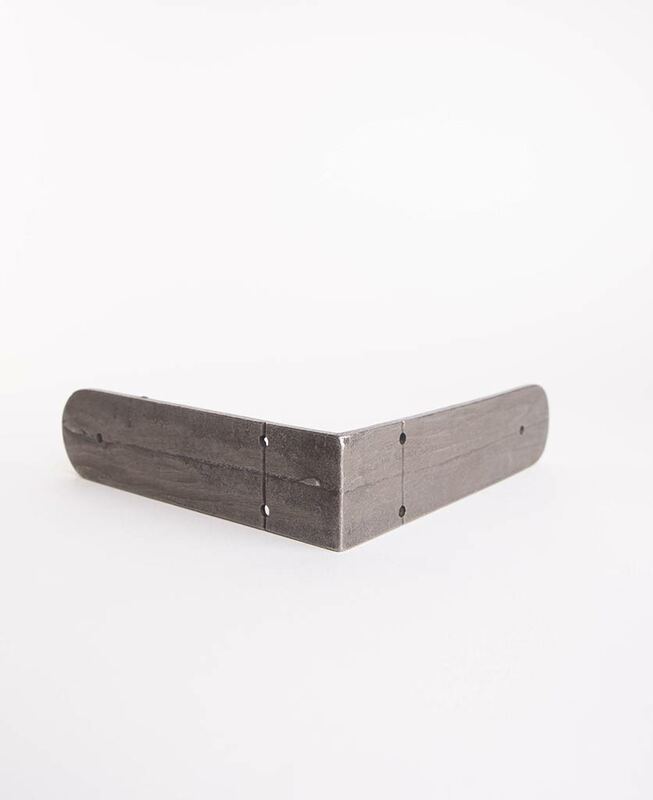 We think these brackets would be perfect paired with a chunky wooden shelf – maybe a reclaimed scaffold plank or a piece of driftwood for a gorgeous earthy look. For something a little more unusual, think about using marble, slate or plywood. So where to put your shelf creation? For starters, it’d look fantastic against an exposed brick wall – the tactile textures complementing each other brilliantly. It’d also add a good dollop of oomph to a plain white wall too. Maybe stack two or three shelves on top of each other to create a stunning and hugely practical feature. 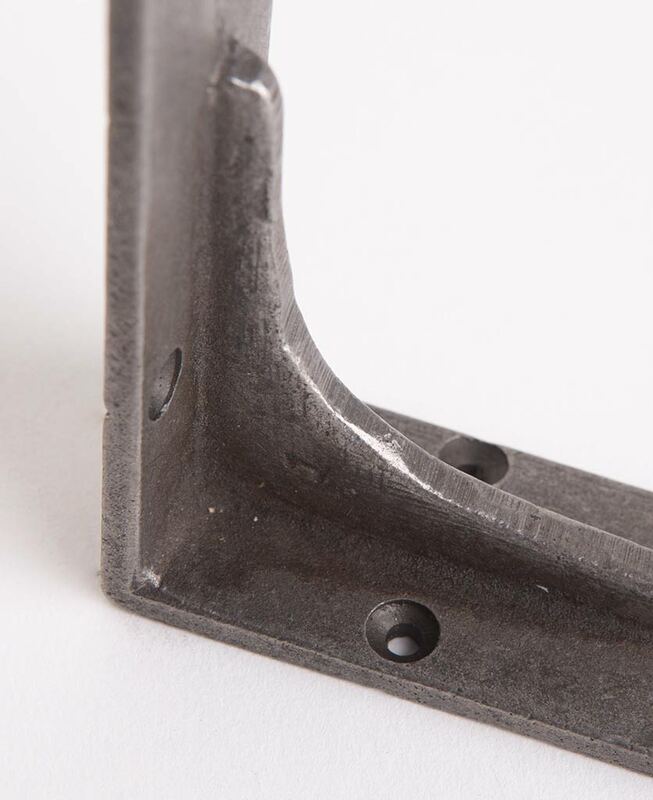 The Magnus bracket comes in three sizes so there’s sure to be one that fits your space. We aim to post your order out same day if placed before 1 pm Monday to Friday, otherwise, it’ll be the next working day. We have three levels of postage: standard delivery via Royal Mail 48, this is a free service in the UK and takes 3-5 working days, Royal Mail 24 which costs an additional £1.99 and takes 1-3 working days, then express delivery 1 working day via DPD at a cost of £5.99 – you can choose at the checkout. For your peace of mind, we offer a no-quibble returns policy. If you’re not 100% happy with your order just send it back within 14 days, in a resalable condition, and we’ll refund your money.